Home » Gnarly little pike. This is probably the craziest looking northern I've ever seen. That's crazy. 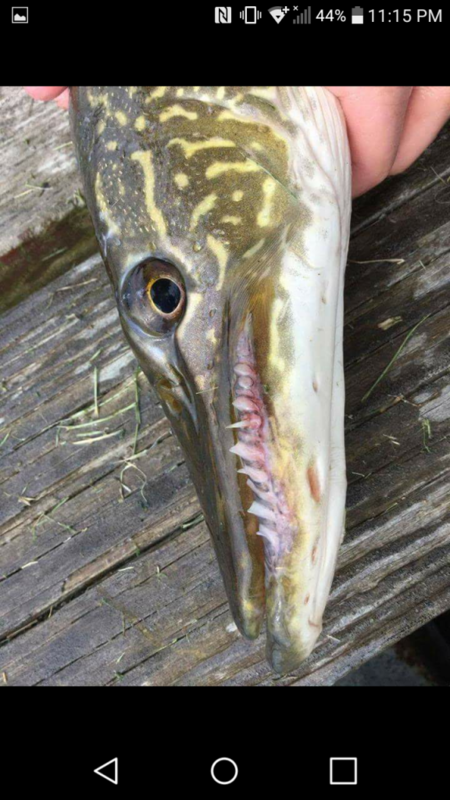 It's like its teeth are too far outside of its mouth.